Etz Hayim—"Tree of Life" exists to promote Christian-Jewish relations and dialogue, and a joint biblical, spiritual and liturgical self-consciousness and cooperation. 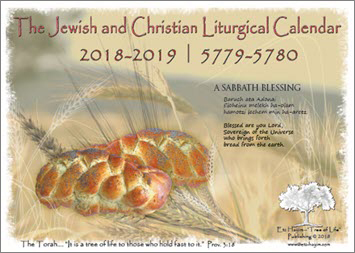 The readings list provided by Etz Hayim—"Tree of Life" follows the Torah Portion of the Week (Parashat Hashavuah) read by Jews every Sabbath, and the readings for Masses and Sunday liturgies used throughout the Christian world. Light of Torah provides weekly insights on the Torah in an easy to use format for parish study groups and individuals. 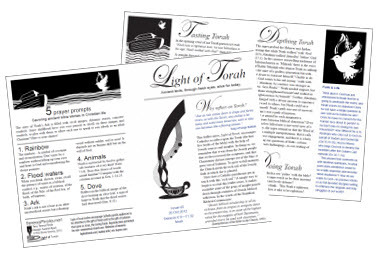 A subscription to Light of Torah is free. The Jewish festival of Passover [Pesach] begins at sundown on the evening of 30th March. 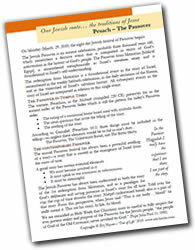 Read more about Pesach HERE. Pesach Sheni, meaning 2nd Passover, is a minor observance instituted for those who, because of reasons associated with the laws of ritual purity, were unable to celebrate Passover on 14th Nisan. Celebrated on the 14th day of Iyyar, Pesach Sheni is mentioned in the Torah [Num. 9:1-14] and makes allowance for those who being ritually impure could not participate in the Passover sacrifice of the lamb, Korban Pesach, and so were unable to fulfill the mitzvah [commandment] of Passover. Today no one is able to fulfill the commandment of Korban Pesach because there is no longer a Temple or sacrificial cult. Therefore, Pesach Sheni is remembered as a memorial, some keeping the custom of eating matzah [unleavened bread]. An Hasidic philosophic approach to Pesach Sheni is found in the understaing of "second chances." God wants everyone to have the opportunity to profess their belief in the great significance of the Passover offering, which the Sefer Chinuch says is a sign of acceptance that our destiny is in the hands of God. According to the Torah the days between Passover and Shavuot are to be counted (Lev. 23:15-16; Deut. 16:15-16). 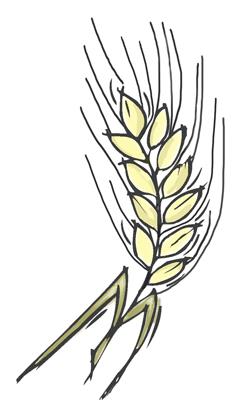 These 49 days of counting, which relate to the offering of an omer of barley, (called in Hebrew Sefirat Ha'Omer) are likened to a connecting thread between the Passover from Mitzrayim [Egypt] and the Giving of the Torah at Sinai. A memorial day for soldiers who have lost their lives. A modern holiday celebrating Israel's independence in 1948. Celebrating the reunification of Jerusalem in 1967.